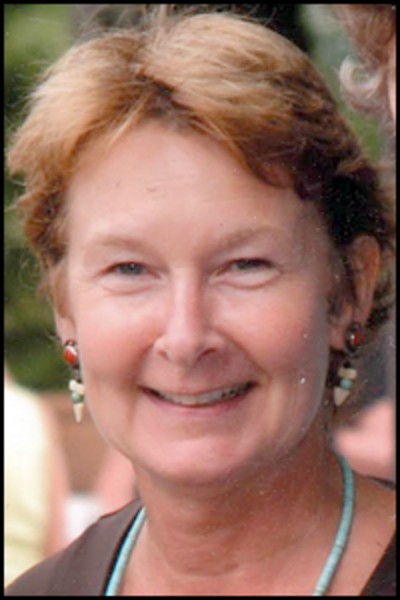 PORTAGE – When Christy Anne Dicker died at home June 1, 2015, a beautiful spirit passed out of this world and into heaven. Christy was born in Presque Isle on January 5, 1956, and was the daughter of Alden and Christine (Hughes) Dicker. She attended Presque Isle schools, graduating in 1974. She also attended the University of Maine at Machias. Family and friends were very important to Christy; she was a faithful caregiver to her parents as they aged and she was a generous friend to all. She hosted many memorable holiday dinners and parties. Christy loved dogs, appreciated nature and her garden, and always fed the deer and birds in her yard. Christy was predeceased by her parents; her sister, Sandra; and her brother, Larry. She is survived by her brother, Alden Dicker, Jr., wife Georgia, and daughters, Jennifer Trombley (Jason) and Julie Dicker; her sister-in-law, Marlene Dicker, and daughters, Stace Hendricks (Jerry) and Heather Bushey (Tom); her sister, Rebecca Woodman, husband Phil, and sons, Matthew and Seth Wieder; her brother, Roger Dicker, wife Anne, and daughters, Rachel Dicker (Matthew Fowler), and Deidre Braley (Ethan); several grandnieces, grandnephews and cousins. Christy also is survived by two very special aunts and uncles, Patsy and Wilford Johnson, and Ruth and Emile Belanger. Survivors also include two very special families, Brad and Jaymie St. Peter, and children, Sydney and Will, and Stephanie and Dominic Gouker and daughter, Delia. Christy deeply loved God and was a member of Our Lady of the Lake Catholic Church in Portage. She is greatly missed by her family and friends and always will be remembered. Donations in her memory may be made to Aroostook House of Comfort (255 Caribou Road, PO Box 867, Presque Isle, ME 04769) or a chapter of the Alzheimer’s Association. There will be no calling hours and the family will hold a private service.